Successful advertising & marketing these days starts with remarkable content and propagating that online. Hire us to help you produce a SURPRISING live event that will delight your targeted audience and transform the everyday into an extraordinary, experience to be shared online. To launch your live experiential marketing campaign with our unique skillset, email or call our advertising & marketing flash mob experts at 855-435-2746. BookAFlashMob.com’s highly-acclaimed, worldwide community of professional experiential flash mob choreographers and producers help hundreds of individuals celebrate, companies entertain, and marketers create engaging, themed flash mob surprises for their targeted audiences. 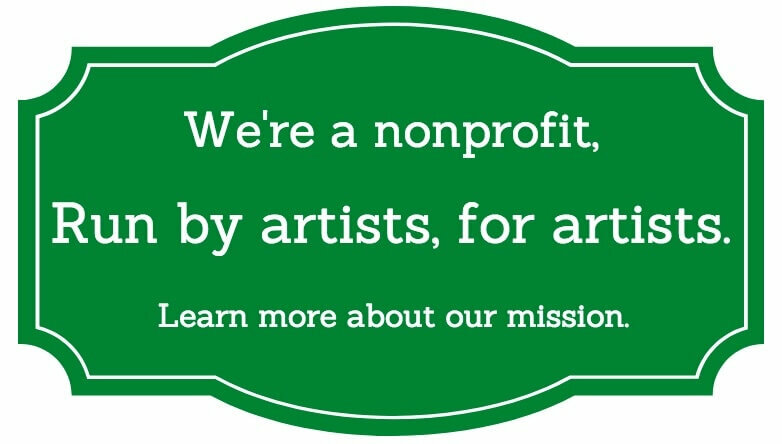 Learn more about our nonprofit mission. 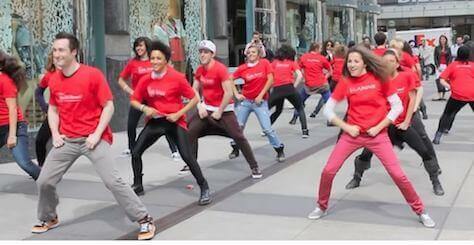 “A big thank you for putting together an incredible 500 person flash mob in five cities! Pretty sure no one else would’ve turned this around with the same level of professionalism, expertise and enthusiasm! Thank you for acting as true partners.” – Saskia Sorrosa, VP Marketing, NBA. NBA Playoffs 5-City Flash Mob Marketing Campaign. 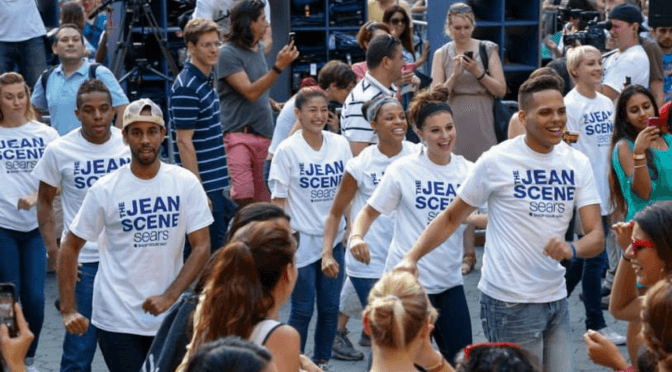 Sears Flash Mob With Celebrity Derek Hough of Dancing With the Stars to Launch Jean Scene Marketing Campaign. 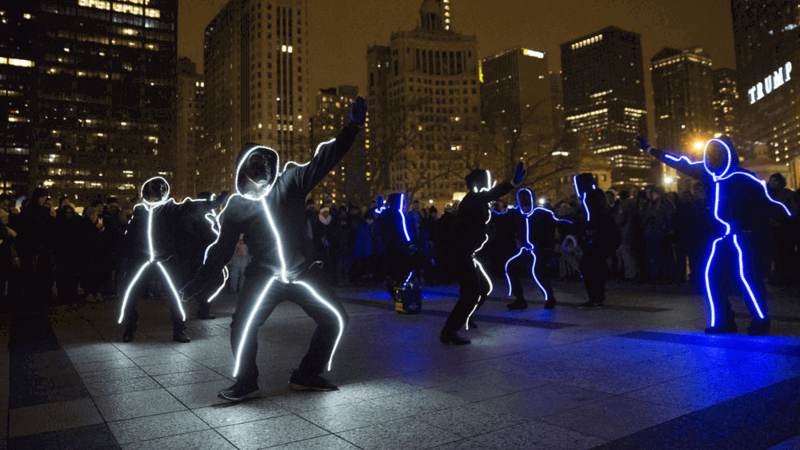 We organize dance flash mobs of all kinds for innovative advertising campaigns, creative branding events, commercials, product launches, or anything else you have in mind. Times Square Flash Mob with Two-Time Grammy Winner Fonseca to Launch Marketing Campaign for the Columbian Tourism Board. Use our form or call 855-435-2746 for experiential advertising that they will want to text, tweet, and share with their friends! Tell us about the event you would like and we’ll make it happen. Hire a Flash Mob. Flash Mob Company. Advertising flash mob. buzz advertising. buzz marketing. creative advertising. creative buzz advertising. creative buzz marketing. creative guerrilla advertising. creative guerrilla marketing. creative marketing. creative viral marketing. guerrilla advertising. guerrilla marketing. innovative advertising. innovative marketing. viral marketing. viral advertising.